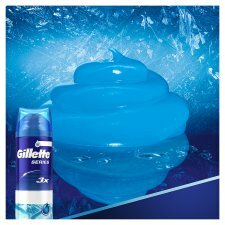 Get a cool shave with Gillette Series Sensitive Cool shaving gel. 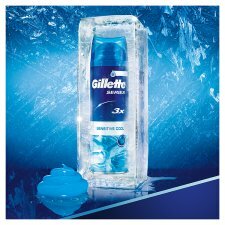 Its 3x action formula – formulated with menthol – hydrates to soften hair, lubricates to help protect and cools to soothe skin. 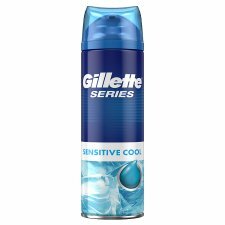 Combine with a Sensor3 Cool razor for a unique cooling sensation during the shave. Pressurised container: May burst if heated. Keep away from heat, hot surfaces, sparks, open flames and other ignition sources. No smoking. Do not pierce or burn, even after use. Protect from sunlight. Do not expose to temperatures exceeding 50°C/122°F. Keep out of reach of children. 5.6% by mass of the contents are flammable. Use only as directed.